On September 16 GlassBuild America opened its doors for a three-day exhibition in Las Vegas. 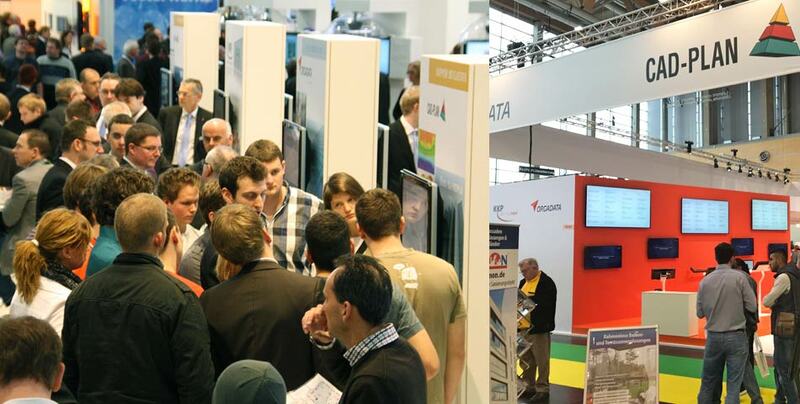 At this event 388 exhibitors displayed their latest innovations in the glass and facade field to about 7,000 visitors. In line with this year’s show motto “Let’s Roll Forward”, the show management were able to report on a very positive feedback from the exhibitors – much better than had been expected due to the subdued economic climate in the USA. 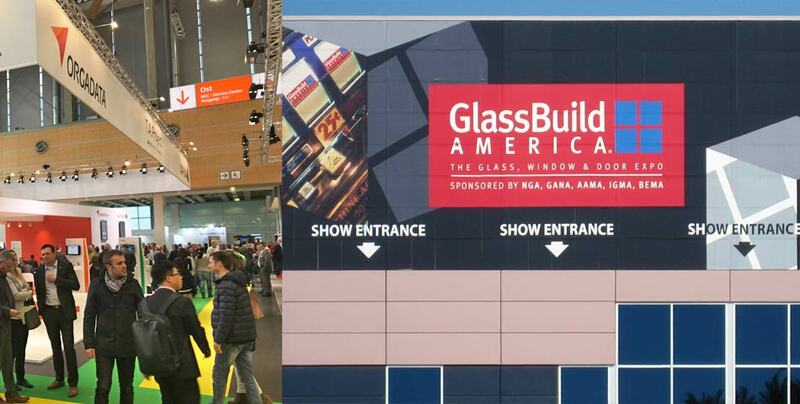 CAD-PLAN too notched up its participation in GlassBuild America as a total success. 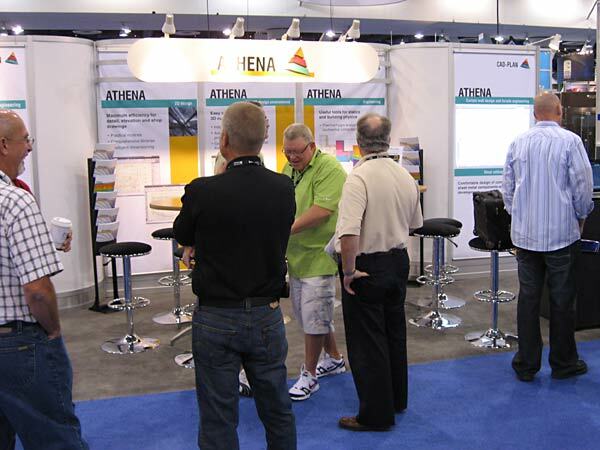 This year the focus of the presentations was completely on ATHENA. 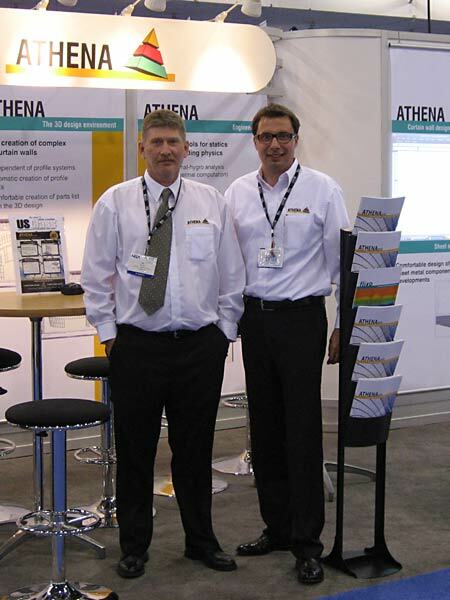 The American CAD-PLAN sales partner, Glaziers Center from Canisteo, NY (proprietor: Bill Cole), was able to fully devote its time in providing consultancy to American facade specialists who rate the well-established and extensive ATHENA design solution as a valuable aid in fulfilling the continually increasing demands in facade and curtain-wall construction. Glaziers Center received expert support in supplying the information demanded by prospective American customers from Norbert Payer, Managing Director of the head office in Germany, who, following numerous discussions with booth visitors, reported on very good prospects continuing for ATHENA in the USA. In September 2011 GlassBuild America will be held in Atlanta, GA, which is traditionally three or four times larger than its smaller sister show in Las Vegas. 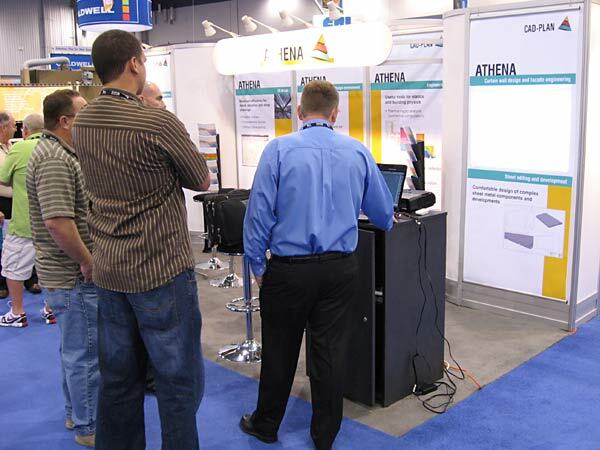 There too, Glaziers Center/CAD-PLAN will be presenting its software products to prospective trade purchasers.